Yes, its the year of the Enterprise for me (by that, I mean huddling with people that deals with the needs and wants of managing computing for large public companies). The common theme, well, is that of change. Amidst the certainty that they exude when selling a certain product, endorsing a certain decision or agreeing to a certain design, I think the general vibe with everyone is that the cloud is still a rapidly changing proposition. Don’t get me wrong, we definitely need action and decisions today and many of these products, decisions and designs around the cloud does need to happen. Life goes on… But things are still rapidly changing. As always. So this brings us to the point. We are still in a cumulonimbus cloud of change. A working life in this cumulonimbus cloud of change is better lived recognising that its, again, a swiftly changing element. If you find that you’re sometimes lost/confused/worried when choosing paths to take in the cloud. You’re not alone. It’s just the state of the “industry” (at least that’s what I tell myself :)). Seriously, there are quite some domains to deal with from software development, to software finishing to production operations. All of these had been impacted by the cloud phenomenon. Each of these domain can be approached differently. There are all encompassing paths such as PaaS, which, although of great value in abstracting complexity, comes with many flavours themselves (CloudFoundry, Open Shift, Deis, Heroku, etc.). There are many very credible tools and technologies that’s crashed the party in your head (and the “hive mind” of your team) as well: hypervisors (Xen?, KVM?, Hyper-V?, ESX? ), unikernels, rump kernels, deployment tools (Otto?, ElasticBox?, Spinnaker), containers (Docker?, Rocket?, LXD?) You name it! The list goes on.. When we go about this with a mind that change is in the air, we are less prone to analysis paralysis and more encouraged to action. It sometimes may feel futile evaluating how one PaaS does against another. We may be asking too much of ourselves to to make a decision based on textual information, conversations and quick demos alone. Deep dives are best, but it takes time. Meanwhile, the clock is ticking and we need something to go live with next week. You know what I mean… Which brings us to the next point. If we believe that the cloud encourages agile change (see this slide for attributes of the cloud that supports such behaviour), i.e. by allowing on-demand setup and teardown of resources and configuration that can be extensively automated, then the best way to find the best path for a certain project or situation may be by to just try it out within a controlled cloud environment. This may be overkill, but how do we get a good, advised, honest opinion of one path vs another without actually giving it a shot and getting ourselves muddied in the edge cases, bugs and complexity that happens only by immersion through execution. So, what I always find my doing is getting immediate needs sorted while scrambling on to explore optimistically better alternatives by giving those a shot with the time pressure relieved. Of course, I write these on my context and constraints, which definitely isn’t universal. I.e., you may have a fully managed PaaS and isn’t too bothered about the life of your application beyond the master branch merge or a release tag. I do think that the approaches there are out there with the cloud today is immensely diverse, beginning from the service models (IaaS, PaaS and SaaS), and that is a good thing. I expect to see better ways emerging from this cumulonimbus cloud of creative destruction. Let’s explore, create and destroy! Will love to hear from you. OK, here’s where I peddle what I’d been working on this year: Liquid Sky (with @richardkoh and co.). 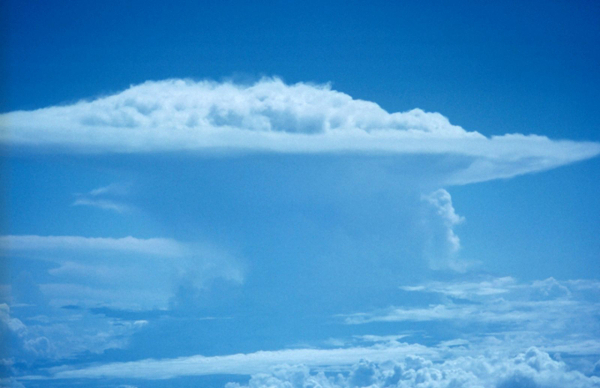 As you deal with this dynamic ever changing cumulonimbus cloud, Liquid Sky helps you communicate and manage the cost of your various cloud vendors.